BOB ABERNETHY (anchor): Now, ministering to the deaf. In this country, more than 25 million people suffer some hearing loss, and two million are profoundly deaf. How do they worship? How can a worship service be meaningful without music and speech? In Chicago, Judy Valente visited a deaf congregation and its remarkable priest. 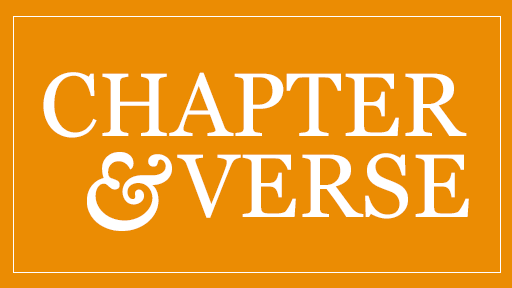 JUDY VALENTE: It is ten-thirty on a Sunday morning in Chicago. Parishioners are arriving for mass at St. Francis Borgia Church. Simultaneously, at a chapel right next door, these people are also coming to mass. It is their own mass. They are deaf. Many houses of worship have worked hard to be more welcoming to people with disabilities. 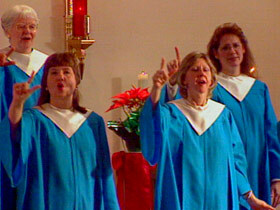 But the deaf prefer to worship within their own community, and to be ministered to by other deaf people. FATHER JOSEPH MULCRONE (Pastor, St. Francis Borgia Church): It’s a hearing world. And most churches tend to be focused on hearing religious experiences: song, spoken word. VALENTE: What goes on here is not only the mass. People arrive two hours ahead of time. Some will stay another three hours afterward. VALENTE: Like Lynn Gallagher, most of the deaf are born into hearing families. They have grown up with a sense of isolation. MS. GALLAGHER: It was very lonely. I always felt very, very lonely. I do truly feel very much like this is my second family. VALENTE: At Father Joe’s church, as it is called, the pews are filling up. But the fact is that, while still in childhood, many deaf people become alienated from religious services. FATHER MULCRONE: Your parents take you on a Sunday, and they bring you to this large building. And you go into this building. And for an hour all these people are doing this. (mouths silently). And you’re deaf and you look around, and you see sometimes people are happy and sometimes people are pondering. And you don’t get it. VALENTE: Before the mass begins, these deaf children go to religious education class. They are taught both orally and in sign language. Religious education teacher: God tells us always to help, help each other. Because we show love. So we’re gonna walk quietly into church now. FATHER MULCRONE (To members of class): Good morning. VALENTE: Father Mulcrone entered the deaf ministry because two of his grandparents were deaf. Since even the best lip-readers only comprehend about half of what they see being said, every minister in this church knows sign language. The deaf are not just attending — some are leading the service. FATHER MULCRONE (At Mass): So I’m gonna ask Peggy to please come up and do our first reading from the Old Testament. VALENTE: Peggy Franco, who is deaf, signs the reading. MARY WRIGHT (Parishoner): This is a reading from the prophet Isaiah. VALENTE: Mary Wright watches Peggy from her pew, and recites the passage aloud, for the hearing people who have accompanied deaf members of their family to mass. MS. WRIGHT: Look around you. See, the people are gathering. VALENTE: Mitchell and Laurel Raci, both deaf, come to mass with their daughter, L.J., who is hearing. L.J. RACI: I do remember when they would come to church with us when I was little, and I did often wonder what they were getting out of it. MITCHELL RACI: There was no signing and no interpreting. And I just daydreamed in church. I didn’t learn anything. LAUREL RACI: Once there is a priest for the deaf, it’s very difficult to part with something like that. It’s just a wonderful experience. L.J. RACI: The first time I came to Joe’s church many years ago, and saw them lift their hands and respond, it was pretty amazing. Pretty moving. FATHER MULCRONE (to Parishioners): Now, we’re going to pay attention to the Bible. When deaf people read the Bible, they pay much more attention to what God does, than to what God says — not because what God says is unimportant, but because what God does they can visualize. When I started working in the deaf community I had to shut my ears off, and look at everything in terms of, not how does it sound, but how does it look? I always have to think, when I’m preaching — can they picture what I’m saying? Preaching stories are really important, because the story allows them to picture the point. VALENTE: But how can a church full of deaf people experience the music that is so important to many worshippers? One way is with a drum. FATHER MULCRONE: Most deaf people aren’t gonna be able to hear an organ playing, or a piano playing. The drum gives them a vibration they don’t get out of most other musical instruments. The drum focuses them on the Hallelujah, the Amen, whatever we use that drum for. VALENTE: At Father Joe’s Church, there is not only music, there is a choir. FATHER MULCRONE: Music does have a poetry. And that poetry can be put into sign language. Deaf people enjoy singing, but they sing with their hands, not necessarily with their voices. The beat may be a little different because it’s the deaf beat. (to Parishioners): So we go back out to share the gift of peace with each other. Peace be with you. VALENTE: The traditional sign of peace has a special meaning at a mass for the deaf. 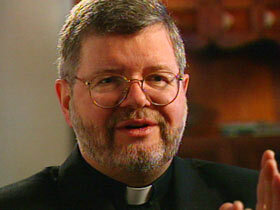 FATHER MULCRONE: It isn’t just that people turn around and shake the hand of the person next to them. They go out of the pews, they go see everybody else. Because it’s that real chance to celebrate, once again, what they share. VALENTE: Some have said it is not a good idea for the deaf to be segregated — that places of worship should find ways to integrate them with hearing congregations. Fr. Mulcrone’s response is that in his church, the deaf can be true participants, with gifts to offer. They don’t want to be pitied, or made out to be heroic, but they have lived on the margins of society. FATHER MULCRONE: There is this hunger to know that God loves them, to know that somebody loves them. So it’s real important to feel that God loves you as much as anyone loves you, as much as God loves any hearing person. On these Sunday mornings these people, from all over the city, have shared not only their faith, but also their, often difficult, lives. And that is what this mass means to them. For Religion & Ethics NewsWeekly, this is Judy Valente in Chicago. The Lutheran: "Attention Our Prayer"
A 1996 article about deaf worship and ministry by Jeff Favre from THE LUTHERAN, a publication of the Evangelical Lutheran Church in America. 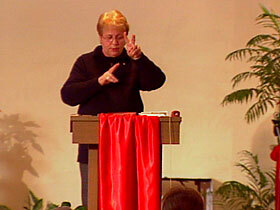 The site also provides a link to information about deaf ministry in the United Methodist Church.